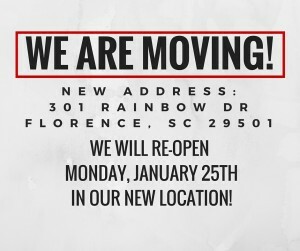 We're Moving to 301 Rainbow Dr and will Re-Open Monday, January 25th - Sonshine Management Systems Inc.
Our office will be closed tomorrow, 1/22/16, as we move to our new location at 301 Rainbow Drive in Florence. We will be located in Rainbow Square across Rainbow Drive from Apple Annie’s. We will open in the new location on Monday, January 25th at 8:30am. We look forward to welcoming you there!